There is a constant need for new ideas, and I’m making them in my brain oven! Ever since this whole ordeal of stuff happening to me and not being able to mess with my channel all that much, I’ve decided to spruce up my videos to think outside of the box. This time I want to add a segment that will only last around 10 videos, along with my regularly scheduled content. 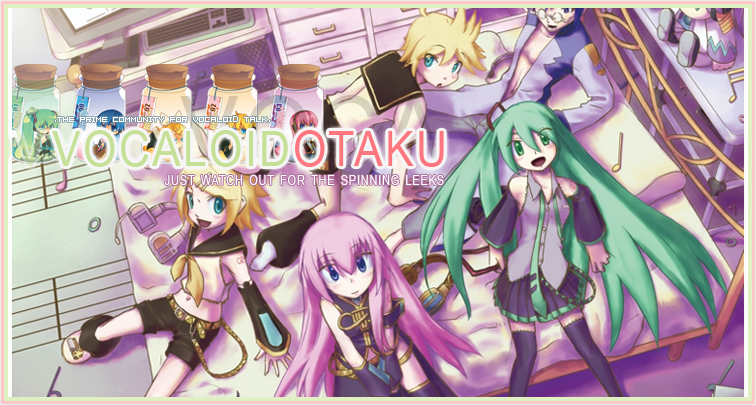 But my thought is, what if the disk was just a Vocaloid song? What would that song be to teach that Pokemon some awesome moves based on not only how it makes you feel but also the meaning behind it? Well, this is what we’re going to do today and for the next few weeks. 10 Songs per video/10 videos and a bonus HM after each video. Did you know there are actually 10 HM’s across all generations? This is very very epic for me right now. So, this is a new segment I hope to begin uploading along with my other segments, including the Top 10 Insanity Set, Top 10 3D Videos set, My According to Demo Stuff with a lot more scientific facts in the description, Even more Producer’s Glide, and yet again, Demo Talks is hoofing it in high gear! Not to mention I’m incorporating a lot more games with Vocaloids, making a new formation on this channel. Another Anime Connection will come at the tail end of every month… so… yeah… awesome. I have more segments not going to tell you here. This was an informational video, so I have no idea when I’ll start, but I suspect less than 2 weeks.